* Red and Green are the colors used in production process of designs to indicate changes. * GREEN – Redundant equipment identified for recovery. * Both recoveries and new proposals are indicated in a single sheet of the drawing. * Both GREEN for recovery and RED for new /additional equipment are indicated. * Recoveries (GREEN sheet) and New Proposals (RED sheet) are shown on separate sheets of the same drawing. 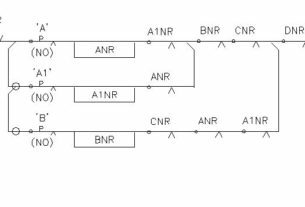 * To standardize signaling designs and to maintain consistency among various agencies engaged in the project, typical circuits are developed for guidance of designers. They also help in faster production of designs and the most important benefit is the potential possibility of error free designs where such typicals are used. 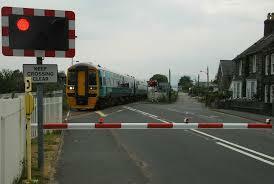 * Typical drawings are shown in the Standards and they are approved by Network Rail . 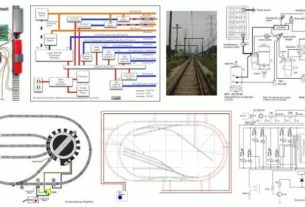 These drawings include typical circuits/equipments used in signaling( ex: signal head, points machine, relay, points detector,) and of points machine fittings, signal head mounting arrangements etc. * These typical drawings are available in Company standards (Drawings section) for reference and guidance. Where a typical circuit is used as a basis for design, it should be customized for each application and the unique circuit details and names (variables) added. * Obtain a production copy of archived record design file for use on the PC. * Records custodian marks CAD master record “Alterations in progress”. * Draft the designs on a copy of the master record. * Superimpose the new requirements on the production design file. * Plot the alterations as required either in one drawing method or two drawing method with colors as appropriate. * After the regular checking process, duplicate copies are taken using either colour plotting or colour copier. * Update production design files to final, by removing redundant requirements. * Plot a new master record from the updated production design file. * Prepare replacement prints from master records, for maintenance records. * Hand over updated design file and MRC print along with any superseded design details for deletion. * Records custodian secures the new CAD MRC and old one is destroyed. When the green POC is obtained from the signed MRC, a certification block should be applied to incorporate the new version no, initials of producer and checker and the date of source record updating. If subsequent alterations are carried out manually, the design files held in CAD should be updated accordingly and the original master records replaced.